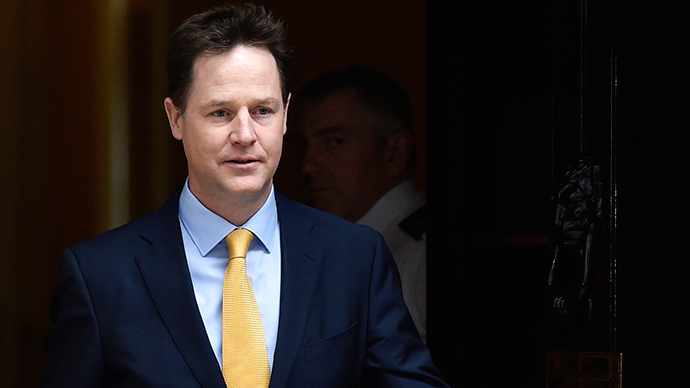 Despite figures suggesting Nick Clegg will lose his seat in next week’s general election, the Liberal Democrat leader put his money where his mouth is and wagered £50 on remaining the country’s deputy prime minister. During his regular LBC Radio phone-in, Clegg made the bet with presenter Nick Ferrari, who offered him a “€50 or £50 wager” that he would no longer be deputy PM after May 7. The beleaguered Lib Dem leader’s bravado comes as polls suggest four of the six main party leaders won’t win seats in the general election. The leaders of UKIP, the Liberal Democrats, the Green Party and Scottish Labour are all expected to trail in second, according to Lord Ashcroft’s figures released on Thursday. Clegg is not the only gambling man to test the election odds. A pensioner in Glasgow has bet £30,000 on the Conservatives winning a majority. On current odds, he could win a handsome £240,000 if he’s proved correct. The “well-groomed, wealthy and well-informed” man, reportedly a retired accountant, was offered odds of 7-1 when he placed the bet in a Glasgow branch of Ladbrokes. Staff told a local newspaper the high roller pulled the money from his pocket and paid in a series of £50 notes. One cashier at the store said he “looked like he knew what he was doing. “He seemed very confident and calm considering the money at stake – he just thought it was a great bet,” they added. The confident punter may be in for a shock, as polls on Wednesday revealed the Scottish National Party (SNP) are likely to win every seat in Scotland. Alex Donohue of Ladbrokes said: “Downtown Glasgow is the last place you’d expect to find a punter prepared to have a record-breaking bet on the Tories. The latest bookie predictions from Coral are offering 11/2 on a Conservative majority. They are also offering 25/1 on a Labour majority, 250/1 on a UKIP majority and 1000/1 on a Lib Dem majority. The odds are 1/10 on no single party taking power.